Let customers pay what they want – without hurting your bottom line!! Everyone loves a good deal. And when you have the freedom to choose what to pay for a product, things get even better! Offer Your Price lets you create a “pay what you want”,“name your own price” or “donation based” pricing system. Customers can either buy at the listed price or make an offer. If offered price is higher than the minimum bidding price threshold you’ve set, offer is accepted and customer is emailed a coupon immediately. If not, a counter offer is sent to the customer. Everything is instant and automated. Set it once and let the cash registers roll! The opportunity to get a desired product at lower price triggers instinctive action. Eliminate fear and buyer’s remorse, let customers feel in control. 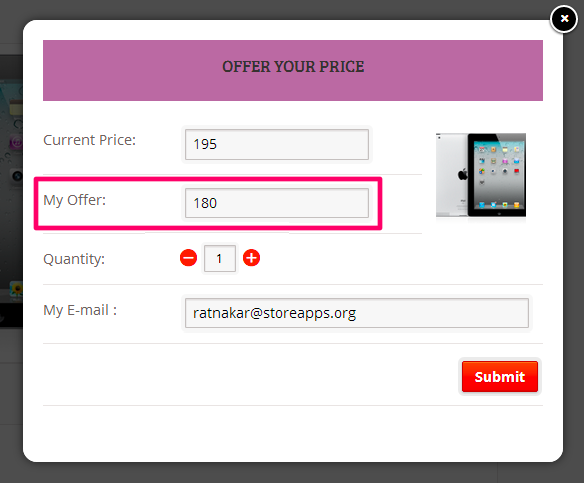 Participative pricing, instant response and coupon delivers instant gratification to customers. You’ll immediately find out what price customers are willing to pay. You can then decide final pricing based on actual data – rather than a hunch! Members can contribute any amount they want, as long as it’s higher than your set minimum. Let people fund your new idea – Offer Your Price does not offer all the bells and whistles of a full blown crowd funding system, but can still be used as a simple alternative. 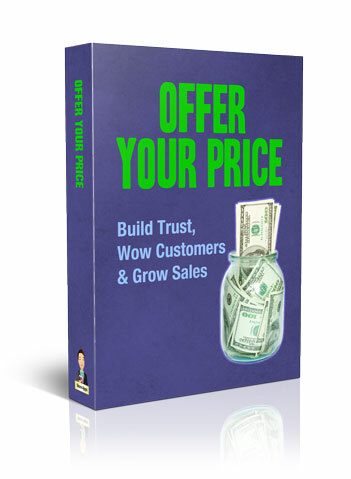 If a customer offers a price that is too low, he is automatically given the lowest price as counter offer. 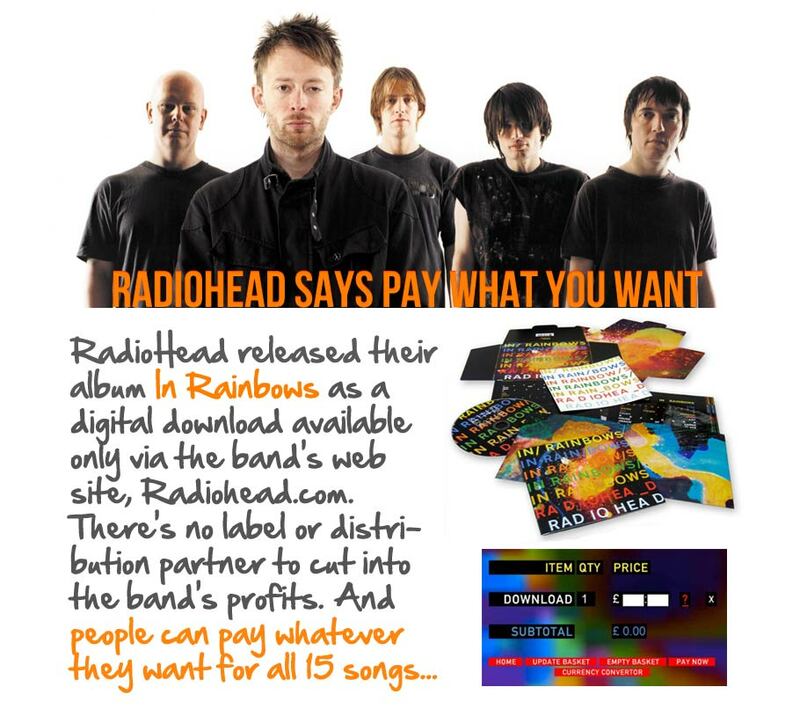 A customer may make only one offer for the product. If he tries to make another offer, he will be sent the result of the original offer itself. Customer comes to the product page, likes the product, but does not want to pay the listed price. He clicks on the ‘Offer You Price’ button. Customer sees the popup and enters his price in ‘My Offer’ field. An acknowledgement message is shown. 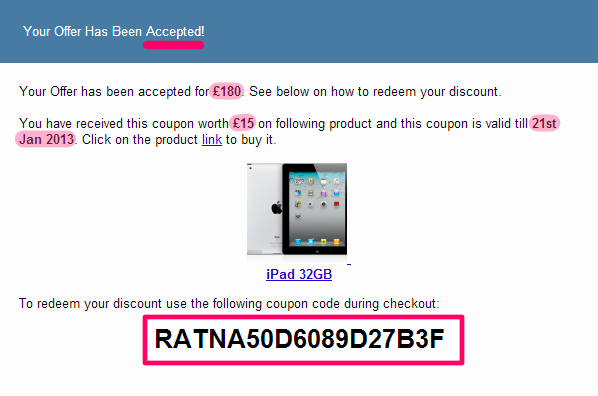 Offer Your Price processes the offer and instantly sends an acceptance email with coupon code to the customer. 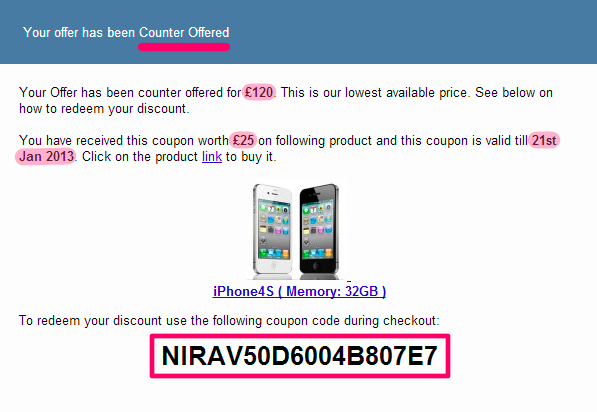 If the price was below minimum price, a counter offer is sent to the customer. Giving buyers the freedom to pay what you want may seem to not make much sense for a seller, but in some situations it can be very successful. This is because it eliminates many disadvantages of conventional pricing. It is obviously attractive to buyers to be able to pay whatever they want, for reasons that include eliminating fear of whether a product is worthwhile at a given set price and the related risk of disappointment or “buyer’s remorse”. For sellers it obviates the challenging and sometimes costly task of setting the “right” price (which may vary for different market segments). Pay What You Want changes an adversarial conflict between seller and buyer into a friendly exchange, and addresses the fact that value perceptions and price sensitivities can vary widely among buyers. This pricing strategy may also be referred as pay as you wish, participative pricing, service pricing or voluntary contributions. Click here to view the documentation and get answers to frequently asked questions. OR get nearly 20 plugins for the price of two! Read about our Elite Club. Our plugins are easy to use. We also have ample documentation. But whenever you need further assistance, you will get support from the same people who develop these plugins! We make sure you succeed! You’re Buying from the Best! Rest assured that you will be well taken care of. WordPress community contributor, sponsor, speaker. We all want to avoid mistakes and wastage. You may have valid concerns and questions about our plugins too. Yet concerns can become obstacles to achievement. I’ve listed several common concerns and my responses to them below. If your question is not listed, feel free to reach out to me. Remember, you don’t want to become a bottleneck for your own progress! Unsure if this will work for you? I fully understand if you can’t decide whether this plugin will fulfill your needs. My recommendation: 1. review all information on this page, 2. try our live demo – it will give you a good sense of how things will work, 3. quickly go through our docs – we’ve answered many common questions there, 4. feel free to send us your questions using the chat prompt at bottom right of this page. You won’t get an instant response, but we will certainly answer you ASAP. Feel it’s very expensive? Have a cheaper alternative? Cheap = better?? What value will this plugin generate for you? How much money can it make you in next 3-4 months? How much ti me can it save in a year? Can it improve conversions and customer satisfaction? So make your choice based on potential value not price. Even if you have a strong budget restriction, a $25 solution is most likely not going to be better than a $149 solution. No two solutions are equal. So dig deeper before making your choice. When in doubt, I would go with a trustworthy, proven vendor, even if their solution was more expensive. How much effort will it take to achieve what you want? Buying the plugin is one step in completing the job at hand. Think about the setup / configuration / learning / maintenance time and cost as well. We design our plugins with utmost focus on your productivity. We want you to get the job done – faster and easier. Developing, maintaining and supporting complex features is costly. Why do you want to pay for things you won’t even need? More options means more choices to make. Bloated features mean more things that can break. We consciously choose what is and is not included in our plugins. So check if you need all the bells and whistles… It may be wiser to go with something that may not do everything, but whatever it does, it does well. We assume our time to be cost-free. But instead of spending an hour going here and there within WooCommerce, you can use a plugin that makes things simpler. Then invest the saved time in crafting better products and offers. Engaging customers and growing traffic. WordPress and WooCommerce update often. We keep improving our plugins. We started in year 2011 and will continue helping customers grow their businesses. Your recurring payments help us continue serving you for a very long time. That’s the reason for annual renewals. Subscriptions renew automatically and you can cancel anytime. But yes, I understand it may work better for you to make a one time payment. Go with the Lifetime license option if that’s the case. Does this work with Shopify? StoreApps develops WooCommerce plugins (and WooCommerce works on WordPress). They don’t work with Shopify. If you’re on Shopify, try Putler – our analytics app. Does this work with Subscriptions / Memberships / other plugins? Will it work with Storefront / Divi / Astra / ThemeForest / my theme? We develop our plugins with compatibility in mind. And over the years people have used our plugins in all sorts of setups. So yes, our plugins should work with most themes and plugins out there. There may be exceptions though – especially if you’re using something that overlaps in functionality. In case you find something incompatible, let us know and we will resolve it. Or provide you a refund if we can’t solve it. We invest ton of time and money researching, developing and improving our plugins. We follow the best coding practices and are proud of our plugins. Our support will also solve any problems you may face. But if the plugin is broken, defective or incompatible with your setup, we will verify your claim and if found legit we will gladly refund your money within first 30 days. We don’t want cursed money!